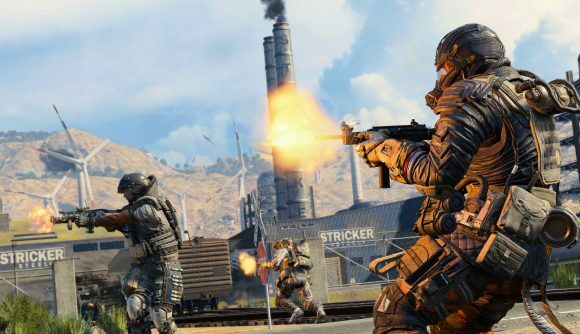 Call of Duty: Black Ops 4 took on battle royale in a big way with its Blackout mode, and the results have been pretty successful. If you’ve missed out on the action so far, you’ll soon have an easy opportunity to sate your curiosity, since Blackout is going free for a full week starting this Thursday. The free trial for Blackout starts on January 17 and lasts until January 24, so you’ll have a good long stretch of time to get familiar with the battle royale. Activision and Treyarch have provided very limited details on this release, but it looks like you’ll have access to the full mode without restrictions. Whether progress carries over to the full game remains to be seen, but that is standard practice in free weekends. You’ll be able to get into the trial on PC – presumably through Battle.net – as well as PlayStation 4 and Xbox One. Activision has already been experimenting with alternate pricing models on Black Ops 4 with the Battle Edition, which gets you the game minus zombies for a discounted price. Patch 1.11 for Black Ops 4 launches this week, which includes a new Chaos Control playlist for multiplayer and a host of other changes across the game. The console version of the patch is already live, and the PC version is set to follow later in the week – either way, you can get the patch notes on Reddit. Check out our Blackout map guide if you’re diving into the mode for the first time this week. Existing players have had months to get to know the location, so you’ll need every advantage you can get.